In this presentation, Hedera Hashgraph Technical Lead Paul Madsen presents the ten most common myths about distributed ledger technologies (DLTs). 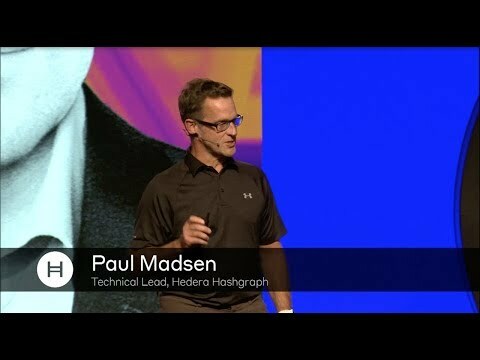 Demystifying these widespread, false beliefs, he reveals the truth about DLT security, the nuanced differences between DLT implementations, and the unique benefits of Hedera Hashgraph. Definitions of distributed ledger technologies often claim that DLTs guarantee, or create, trusted transactions. Meanwhile, DLTs are sometimes called “trustless systems,” or networks which destroy the very need for trust. These descriptions seemingly contradict each other, generating confusion around the relationship between DLTs and trust. When we talk about trust and DLTs, we must be sure to include the context: trust only makes sense in terms of whom we trust and what we trust them to do. Before DLTs were available, we had to trust third-party intermediaries to handle our transactions; we had to trust banks, government agencies, and centralized servers to validate exchanges and maintain central ledgers. 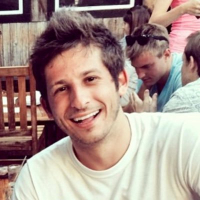 With DLTs, instead of having to trust a single, centralized authority, we can now trust the decentralized network to ensure the rules do not change. In Hedera Hashgraph’s case, we have to trust that less than one third of the network will be malicious. When someone says that DLTs create or destroy trust, they don’t mean that DLTs don’t require any trust at all. Instead, they mean that DLTs generate a trustworthy network in which no single member needs to trust any other single member. The trust required in a DLT is placed in the network as a whole. Many DLTs on the market, Hedera Hashgraph included, use a data structure called a Directed Acyclic Graph (DAG). A DAG consists of two parts: nodes which store or represent information, and arrows which denote the directional flow or the order of those nodes. Notably, in a DAG, these nodes cannot form a cycle; there can be no path which leads from a node back to itself. On the surface, DAGs have very little variation. Any two DAGs will have similar diagrams, consisting of nodes and arrows. Because these depictions all look the same, it is tempting to believe that all DLTs built on DAGs are the same. DAGs are simply a data structure. While the data structure is always essentially the same, the information it represents can differ dramatically. For instance, Hedera’s DAG represents a history of messages. Through gossip-about-gossip, the DAG enables the network to recreate a shared, consistent record from which consensus can be derived. Other DAGs capture different types of information, such as transaction confirmations. While DAGs are all structured in the same way, DLTs can use the data structure in a variety of different contexts. Proof-of-Work (PoW) is a protocol used by many blockchain DLTs to deter malicious activity. The protocol requires nodes to solve a difficult, computationally-exhaustive puzzle in order to validate their transactions. By increasing the resource cost of issuing transactions, PoW disincentivizes malicious nodes from flooding the network with a high volume of bogus transactions, an attack known as distributed denial-of-service (DDoS). In this way, PoW is tolerant of malicious nodes. Sometimes, people mistake PoW’s deterrence of malicious nodes for a tolerance of Byzantine nodes, and therefore believe PoW to be Byzantine Fault Tolerant (BFT). Byzantine Fault Tolerance has a very precise definition. For a DLT to be BFT, nodes must reach consensus at a definite time, and they must know with certainty that other nodes will reach the same consensus as well, assuming that less than a third of all nodes are malicious. Proof-of-Work cannot ensure definite consensus in this way. Rather, PoW is probabilistic; as more and more blocks are added to the blockchain, the probability that consensus will be reached continually grows. While confidence increases over time, it is not definite, as Byzantine Fault Tolerance would imply. Therefore, PoW is not Byzantine Fault Tolerant. The primary security feature of a DLT is its namesake, the distributed ledger. Unlike traditional systems with a central ledger, DLTs grant no individual node the power to add or alter records. Instead, the network must come to consensus on every update to the ledger, creating a significantly more transparent and tamper-resistant system. Because the distribution of the ledger provides a significant boost to security, it is easy to see why many people believe that larger networks are more secure. After all, if distributing the ledger provides security, distributing it across an even greater group of nodes should be more secure. However, this is not always the case. Larger networks are not necessarily more secure. A DLT’s network composition, consensus algorithm, and governance all factor into security alongside network size. If any of other these factors differ, a network with 10,000 nodes may be less secure than a network with 1,000 nodes. Larger networks only equate to greater security when all other factors are held constant. Some groups and companies assert that DLTs do not need high throughput. Their primary argument centers around practicality. Visa, for example, peaks at 50,000 transactions per second (tps). They believe, therefore, that any throughput significantly above 50,000 tps is unnecessary. Many DLTs are designed to be platforms for hundreds or thousands of future decentralized apps. Visa is only one application. If a DLT aspires to host hundreds of Visa-like apps on its platform, it will need significantly higher throughput than 50,000 tps to support all of those applications. While high throughput may not be useful today, it is essential for any forward-thinking DLT. Many DLT’s, like Bitcoin, maintain an immutable ledger. On these networks, no node, nor group of nodes, can alter transactions that have already been recorded on the ledger. There is no question that immutability provides additional security. Because nobody can change the immutable ledger, hackers cannot either; an immutable DLT provides no possible pathway for malicious agents to alter records. These security benefits lead many to believe that immutability is an unqualified good, a feature which provides no downsides along with its benefit. While immutability does increase a DLT’s security, it also reduces the DLT’s efficiency and adaptability. When the ledger cannot be mutated, no prior records can be deleted or changed. Therefore, all records must be stored continuously. The buildup of records bloats the immutable network, requiring increasing amounts of resources for the storage of an ever-expanding ledger. Truly immutable DLTs will get more inefficient as time goes on. Additionally, as accounting regulations change over time, DLTs may be required to change the formatting of the ledger. Immutable DLTs will not have the ability to update records to fit changing standards. For a user, much of the internet appears free. While we must pay for internet access, many websites, applications, and services do not require payment. Because of this cultural mentality, some people believe that DLTs can and should be free to use. There is no such thing as a free lunch. DLTs require resources to process transactions, come to consensus, store records and files, and provide other services. In order for the network to survive, the nodes and users who contribute to the network need to be compensated for their work. Any free DLT will not be sustainable. Instead of levying hidden fees or taxes, Hedera Hashgraph aims to make all transactions transparent. Users pay for only the resources they use, and nodes and proxy-staking users are compensated based on the resources they provide. Like other platforms on the blockchain, Bitcoin is vulnerable to a 51% attack. If a hacker controls 51% of the network’s computation speed, or hashrate, then that hacker can control which transactions are added to the ledger. In this position, the hacker can alter transactions, prevent exchanges, and spend their cryptocurrency multiple times. The 51% attack is often the focus of discussions around DLT security, especially when it comes to the blockchain. While this type of attack certainly warrants concern, its place in the spotlight gives rise to the popular myth that a hacker can only attack the DLT if they control over half of the network. In addition to the intuitive 51% attack, all networks, including Bitcoin and Hedera Hashgraph, have 34% attacks. These attacks require the hacker to control over a third of the network, as well as a firewall. Using the firewall to split the moral 66% of the network into two groups of 33%, the malicious 34% of nodes can then tackle each of these two smaller groups separately. While this type of attack is far less intuitive than the 51% attack, it is possible on all decentralized networks. While a DLT can safeguard against 34% attacks, it is impossible to prevent the possibility of them entirely. Therefore, the highest security possible for a DLT, called Byzantine Fault Tolerance (BFT), ensures that the network will always come to consensus when less than a third of the nodes are malicious. Networks like Hedera Hashgraph, which have proven they are BFT, have no smaller attacks than the 34% attack. However, networks which are not BFT are susceptible to attacks by hackers who control less than a third of the network. Proof-of-Stake (PoS) is often described as the next logical step away from Proof-of-Work. Rather than require nodes to spend additional resources for security, PoS systems weight the legitimacy of nodes based on the number of tokens they have. By trusting nodes based on their investment into the system (their stake), PoS ensures that a malicious agent could only attack the system if they own over a third of the network’s total cryptocurrency, an incredibly large sum. In this way, PoS economically disincentivizes malicious attacks without increasing the network’s resource usage. Because proof-of-stake is often described in opposition to proof-of-work, there is a tendency for people to believe that all proof-of-stake systems are the same. Though all PoS systems trust nodes based on their stake, there are many nuanced differences between implementations. One such variation is delegated proof-of-stake. In a delegated proof-of-stake system, users who do not run their own node can use their stake to elect nodes to create blocks. Hedera’s proxy-staking model also allows non-nodes to stake their tokens. However, in the proxy-staking system, a user’s proxy-stake directly contributes to consensus rather than electing a node to do so. Another difference between PoS systems is their treatment of the stake. On some platforms, a node’s stake may be taxed, bonded, or slashed. On Hedera, a user’s stake can be spent or unstaked at any time. While these differences may seem subtle, they significantly impact the functionality of proof-of-stake systems. In the near future, many of our electronic devices will be connected to the internet. Everything from our cars to our kitchen appliances will be able to upload data to the cloud, communicate with other devices, and be activated remotely. This Internet-of-Things (IoT) revolution provides an interesting use case for distributed ledger technologies. If everyday electronics participate in distributed ledgers, the increased network size of our DLTs will raise security. As an added benefit, IoT technologies could then communicate with each other and issue transactions without the need for a middleman or central server. This functionality could provide direct, efficient, and secure transactions between vehicles, smart devices, and household appliances. Upon seeing the benefits of pairing IoT technologies with DLTs, many wishful thinkers assume that all IoT electronics will become network nodes in the near future. While there are benefits to having all IoT electronics serve as nodes, this future is infeasible. In order to maintain efficient networks, DLTs must set a minimum computational requirement for their nodes. Each node must have enough computing power, bandwidth, and storage to assist the network. Realistically, not all IoT devices will meet these requirements. In addition to the many devices which will serve as DLT nodes, there will be many devices which cannot. Of course, these smaller devices may still be able to use decentralized networks, though not as fully participating nodes.